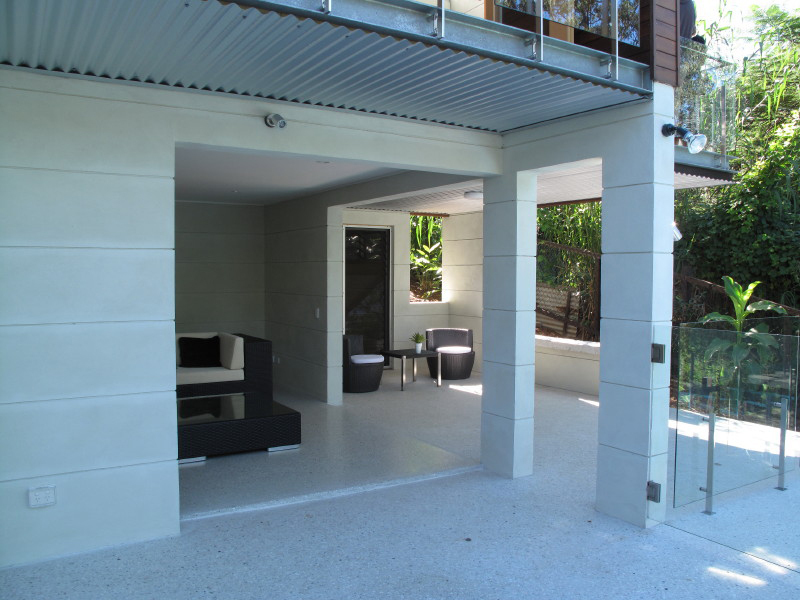 During early 2010 Rob Peagram Builders completed building a river front house in Brisbane, Australia designed as a high quality home providing maximum benefit from a smaller parcel of land. The private owners were committed to the sustainability of the home and worked with Riddel Architecture to include many features to improve water and energy efficiency. Materials were conscientiously selected for local production, low toxicity, renewability and efficient use. 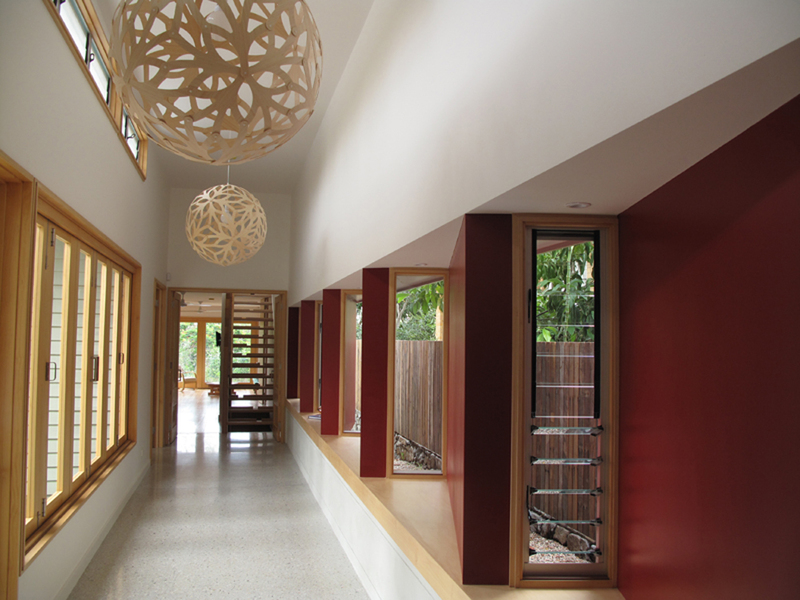 Portland cement concrete has excellent properties as a building material but the carbon footprint is extremely high so Rob Peagram Builders looked for an alternative. From the beginning TecEco concretes were ticking most of their boxes and they initially tried to get blocks manufactured in Queensland using TecEco Eco-Cement because of its sequestration potential. Unfortunately external events delayed production and blocks could not be made on time. 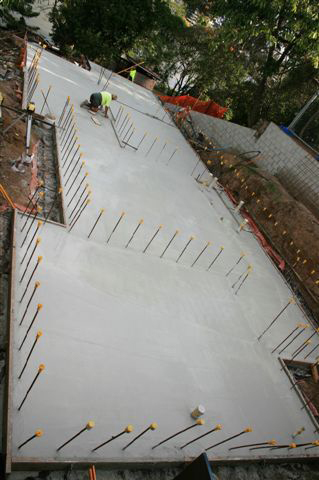 Rob Peagram builders are planning to revisit block production for future events and were able to core fill some of their standard block walls with TecEco cement concretes. The first (polish grade) concrete slab was poured using a TecEco Tec-Cement modification of a Hanson Icelandia mix containing recycled silica fume and fly ash. Apart from reducing plastic and drying shrinkage the use of reactive magnesia avoided darkening the slab as much as just fly ash would have. The technical team from Hanson worked with John Harrison from TecEco to test the product and produce a blend to suit the needs of Rob Peagram Builders. Two weeks after the pour and the signs looked good. Due to the timing of Rob Peagram's building strategy the slab was not be polished for several months, providing additional time for the hardening of the concrete before grinding and polishing. As a small business Rob Peagam builders are in a strong position to support new technologies at the cutting edge of sustainable practice and when they achieve great results it is pleasing that they share that information with the wider sustainable construction community. According to Rob "Early information coming from the Garnaut Climate Change Review reports that economic modeling indicates technologies being developed to recycle and sequester carbon will be increasingly common as a carbon trading scheme comes into effect. Effectively sequestering carbon, as TecEco Eco-Cement concretes do, fits squarely as a technology identified in the Garnaut Report. Sustainable construction is a fast growing field within the construction industry. With the building industry being one of the larger carbon emitters we need to bring about change in the way we build. Sustainable technologies being introduced today will become the benchmarks of building construction tomorrow." 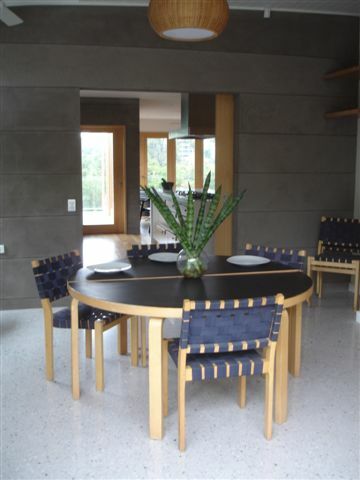 This project demonstrates the advantage of TecEco Tec-Cement Concrete for Polished Flooring. 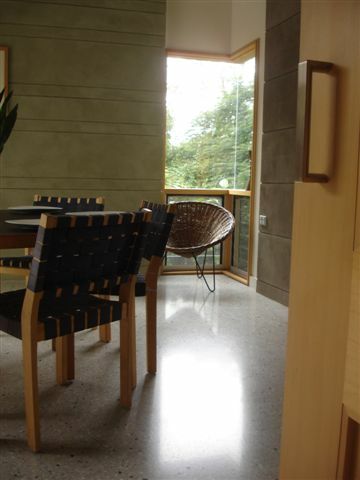 For more details please see http://www.tececo.com/product.tec-cement_flooring.php. The finished result was stunning and can be seen by visiting the blog http://hillendeco.blogspot.com.